Muslims think they can deny the crucifixion of Jesus by quoting Bible verses out of context and pretending that there was another outcome than Jesus going to His certain death. They do this while ignoring the explicit verses which report precisely what happened at Golgotha. They cherry pick portions of verses from the New Testament to try to support their claim that Jesus did not die, solely because they choose to believe that their "Allah" replaced Jesus with Judas and (unjustly) crucified Judas instead. 39 Going a little farther, He fell facedown and prayed, “My Father! If it is possible, let this cup pass from Me." They read this and they say, "You see? 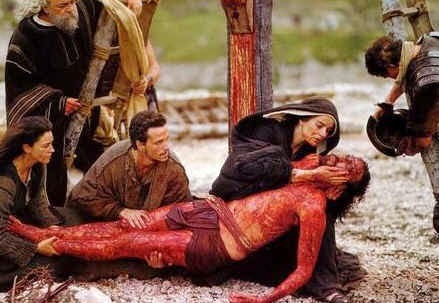 He prayed that the Father would not make Him go to the cross! And since He was a good man, He knew God would answer His prayer!" 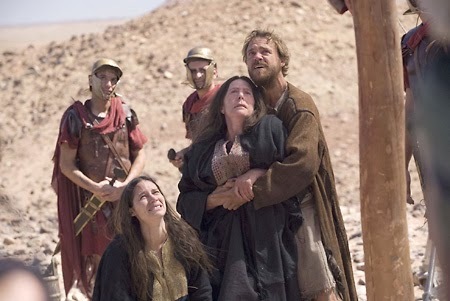 Jesus knew what torture and abuse He was going to suffer at the hands of cruel Roman soldiers and even His own people. The Son of God could have simply chosen to stop right in the middle of all the merciless pain and cruelty, call on His Father to send down legions of angels and just destroy these sinful people. But instead He prayed, "Not as I will, but as You will." And the Father's will is exactly what Jesus followed. 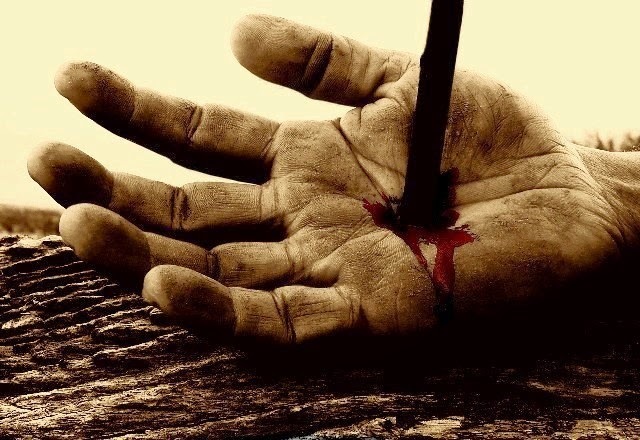 Just as He had told His disciples, the Son of Man did suffer many things at the hands of men and was killed but, as He promised (see Mark 8:31, 9:31 and 10:34, for example), He rose again after three days. 7 During His earthly life, He offered prayers and appeals with loud cries and tears to the One who was able to save Him from death, and He was heard because of His reverence. Muslims take this verse to say that the Father answered Jesus' prayer to be spared the cross (though, as we have already seen, that is not quite all of what Jesus prayed), and that Father God answered Him by replacing Jesus with Judas on the cross. 8 Though He was God’s Son, He learned obedience through what He suffered. 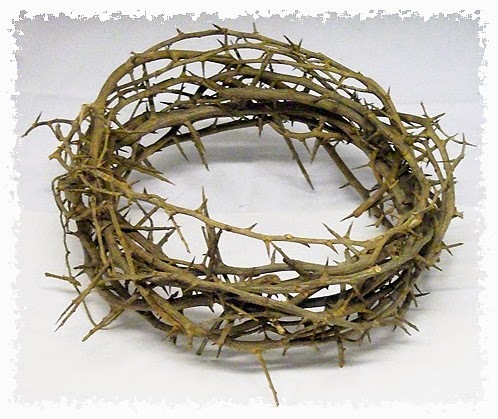 Muslims do not cite this verse firstly because it says Jesus is the Son of God (their prophet Muhammad taught them that Allah cannot have a son because he has no consort), but also because it affirms that Jesus did, in fact, suffer. Jesus suffered all the torture and pain of the cross and He did die, because that is what He had told His disciples He was going to do. If YHWH God does anything, it is to keep His Word. But the Father did hear Jesus' prayer in the Garden. And He answered Him by not leaving Him to rot in the grave and by raising Him up again after three days, just as He had promised. In contrast to these two passages, the Gospels are explicit about what happened at the cross. Here is the Merriam-Webster Dictionary definition of the word "explicit:"
"very clear and complete: leaving no doubt about the meaning"
Then Jesus cried out with a loud voice again and died. Then Jesus loudly cried out once again and gave up his life. Jesus shouted again with a loud voice and gave up His spirit. Then Jesus cried out in a loud voice and died. But Yeshua cried with a loud voice, and he expired. But Jesus let out a loud cry and breathed His last. 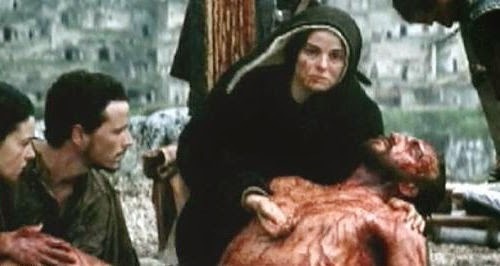 from Mel Gibson's "The Passion of the Christ"
Jesus cried out in a loud voice, "Father, into your hands I entrust my spirit." After he said this, he died. And Yeshua called out in a loud voice and he said, “My Father, into your hands I lay down my spirit.” He said this and he expired. And Jesus called out with a loud voice, "Father, into Your hands I entrust My spirit." Saying this, He breathed His last. After Jesus had taken the vinegar, he said, "It is finished!" Then he bowed his head and died. When he took the vinegar, Yeshua said, “Behold, it is finished.” And he bowed his head and gave up his Spirit. Taking them from all 4 Gospels proves that there was no confusion whatsoever among the Apostles and disciples as to the events which had just changed their lives -- and ours -- forever. We quoted 3 different English versions to show our Muslim friends that having different versions of the Bible does not mean they say different things. All the versions tell us the same thing: Jesus died on the cross. 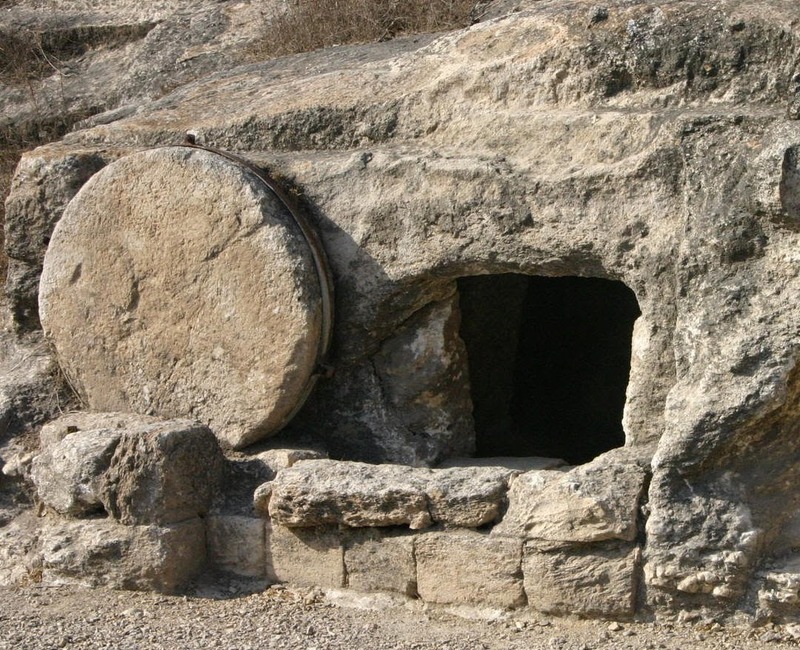 Two Old Testament Prophets Who Witnessed to the Coming Crucifixion and Death of Jesus?